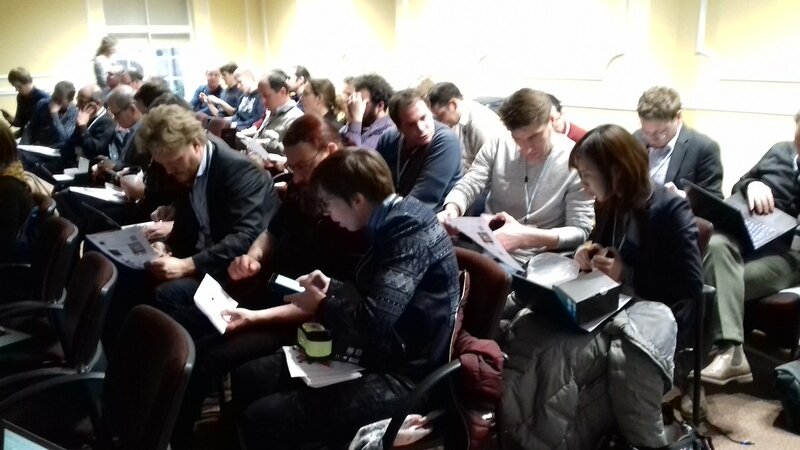 Our third and final Industry Meeting was held 05 - 06 February 2018 in Cumberland Lodge, London. As 2018 is the final year of the NOMAD Laboratory Centre of Excellence (CoE), the focus was on showcasing the data, tools and services from NOMAD and discussing their future sustainability and requirements for industrial use. Industry representatives included members of our Industry Advisory Committee (IAC) (BASF, BP International Ltd, Dassault Systemes BIOVIA, Fraunhofer, Haldor Topsøe, and QuantumWise A/S) and representatives from other industries with materials science needs and know-how (Arcelormittal, Baker Hughes, Corning Inc., Deregallera Ltd, Elsevier, Granta Design Ltd, Greenetica GmbH, GTT Technologies, Johnson Matthey plc, Materials Center Leoben, Materials Design, Mitsuichemicals Inc. Nanolayers, Rolls Royce, Schott AG, Shell, Tecnalia). NOMAD Coordinator Prof. M. Scheffler and Prof. A. 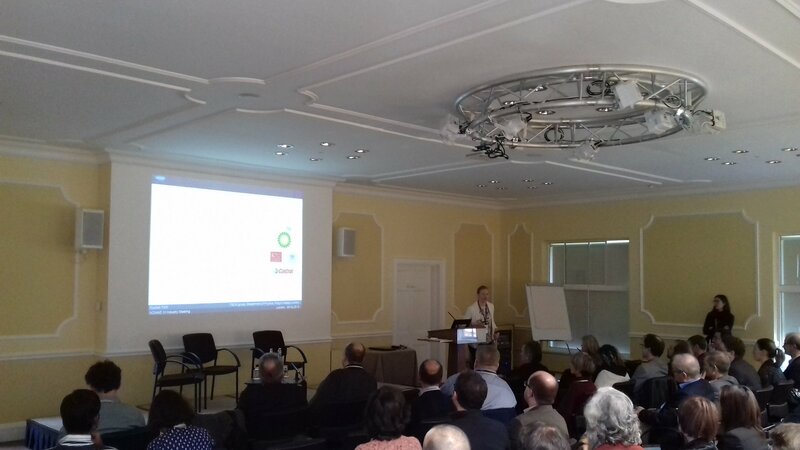 De Vita opened the meeting by summarizing the impressive growth of the NOMAD Repository and Archive, which currently include over 44 Mio total-energy calculations. Funding for continued operation of these significant Big-Data resources is guaranteed by the Max Planck Society for 10 years from the last upload. Prof. C. Draxl gave a demonstration of the NOMAD Encyclopedia, which has had over nearly 5 million requests and over 8,000 users since launching in April 2017. Dr. L. Ghiringhelli demonstrated tools for predicting topological insulators and perovskites, as representative examples from the 16 tutorials currently available in the Big-Data Analytics Toolkit. NOMAD virtual reality tools were presented by Dr. R. García-Hernández and industry representatives were given a chance to try them out. Industrially relevant case studies were also presented, including using carbon dioxide as a feedstock for value-added chemicals (Prof. S. Bromley), computationally screening for inks for the photoactive layer of polymer solar cells (Prof. K. Thygesen) and modelling hydrocarbons to identify better lubricants (Ms. R. Fort, Dr. M. Stella). A number of industry representatives (Dr. B. Saunders (Rolls Royce), Dr. A. Perlade (Arcelormittal), Dr. D. Gao (Nanolayers) and Dr. J. Goddin (GRANTA Design) presented the needs and requirements of their companies, how they currently use materials-science data and how they might interact with NOMAD in future. industry is interested in stand-alone implementations of NOMAD, an area where we already have valuable experience from setting up mirror sites in Korea and China.